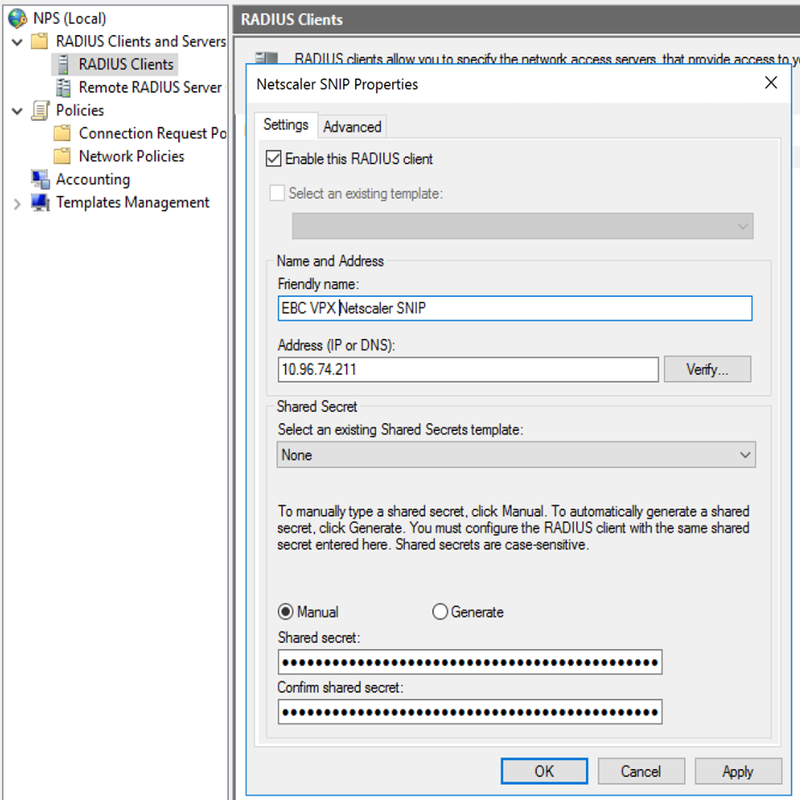 Recently, I was working to update some of our labs and I came across our old Azure MFA Server, which we were using for some demoes for on-premises LDAP, IIS & RADIUS resources. 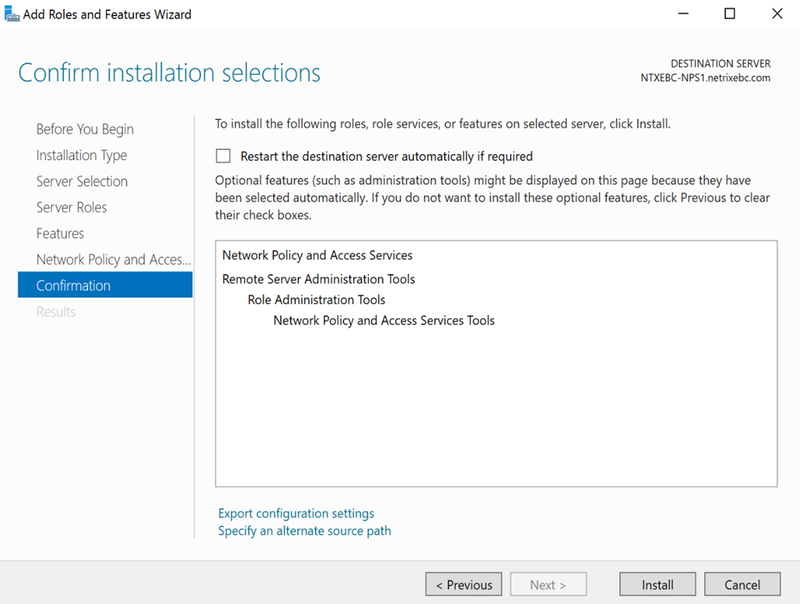 Microsoft originally released this to just be supported for VPN scenarios, but recently opened it up for other use cases that previously needed Azure MFA Server. 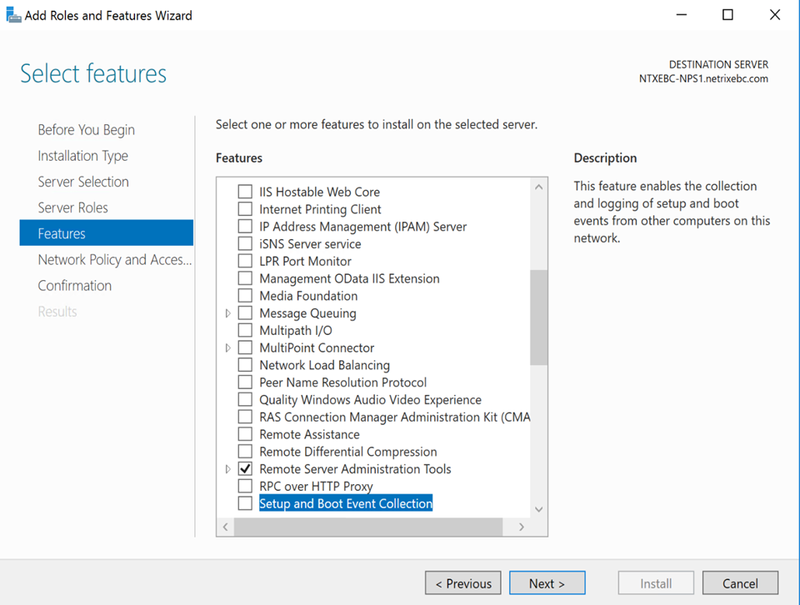 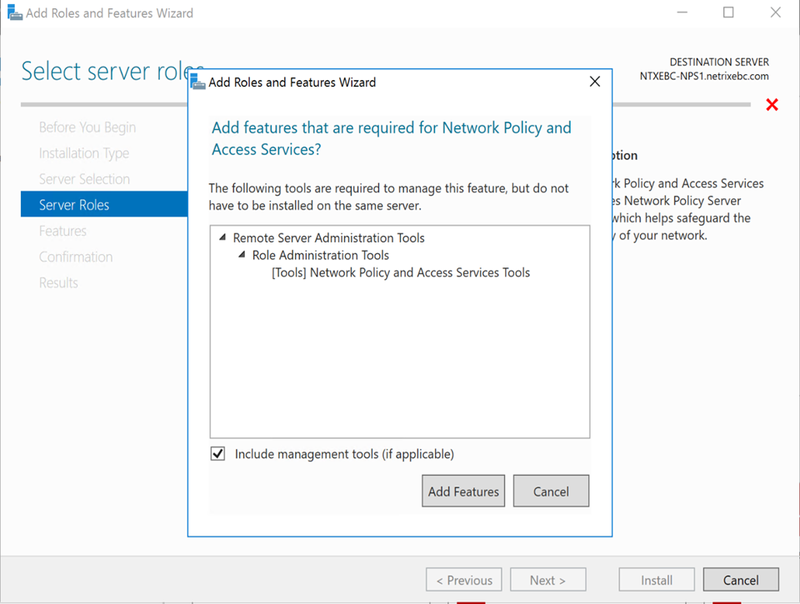 Recently, Microsoft has taken a lot of the core functionality (save for LDAP and some IIS) and moved it to a new extension that sits on top of the Windows Server role for NPS. 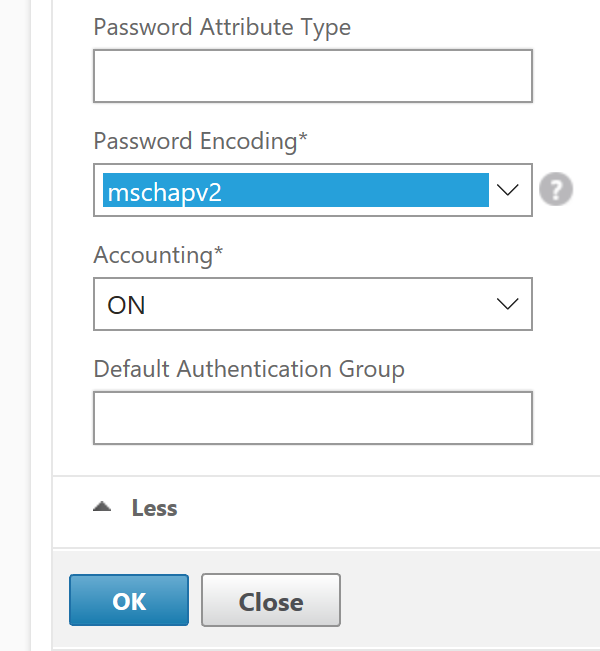 This not only allows for a reduction in server footprint, but MOST importantly, allows IT to not have to maintain separate 2FA stores for on-premises workloads (as done within the MFA Server database) and the methods configured within Azure MFA. 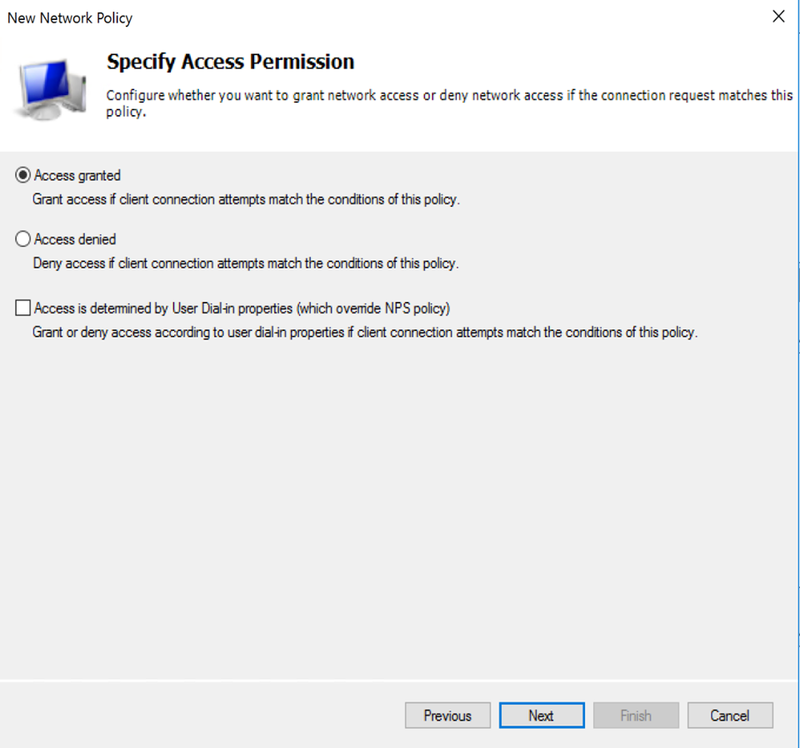 For instance, prior to this, if you deployed Azure MFA server for, say NetScaler, on-premises and O365 services, you actually had 2 different stores of primary/secondary 2FA methods. 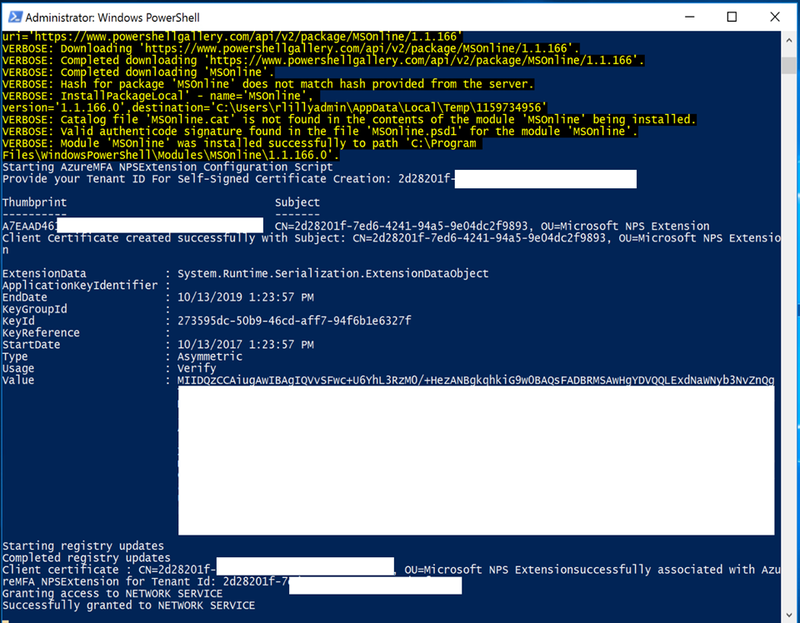 Not only that, but if you used the Azure Authenticator app, it actually means you had 2 accounts with the same information that had to be registered and maintained. 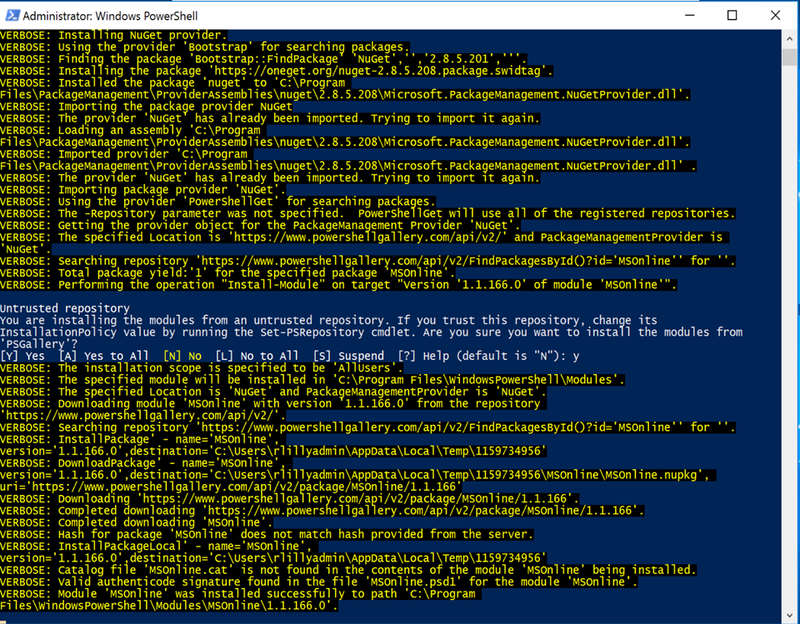 For many reasons, taking this down into a single instance, stored in Azure AD, reduces the complexity and overhead quite a bit. 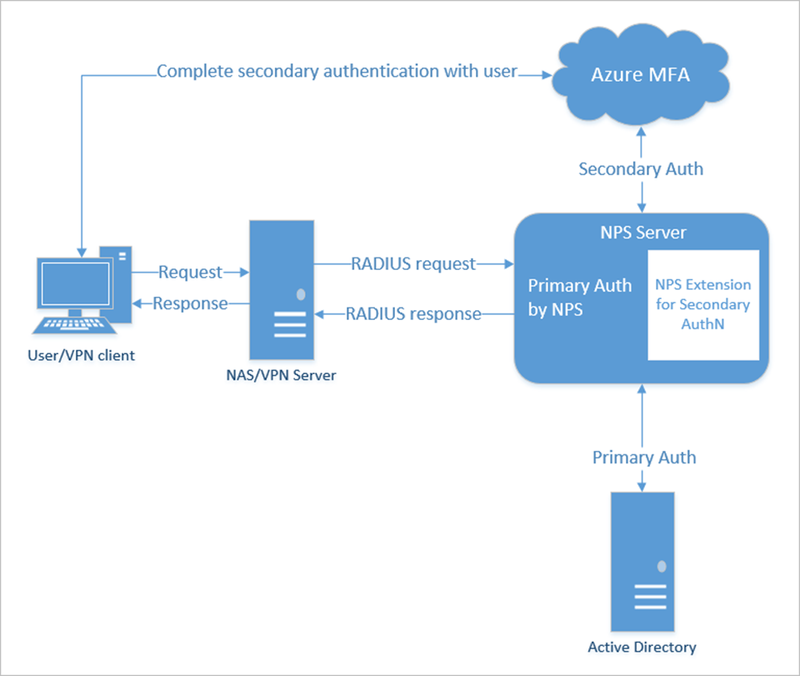 The NPS extension for Azure MFA is meant to integrate with an existing NPS instance or instances deployed on-premises, in this case for RADIUS authentication. 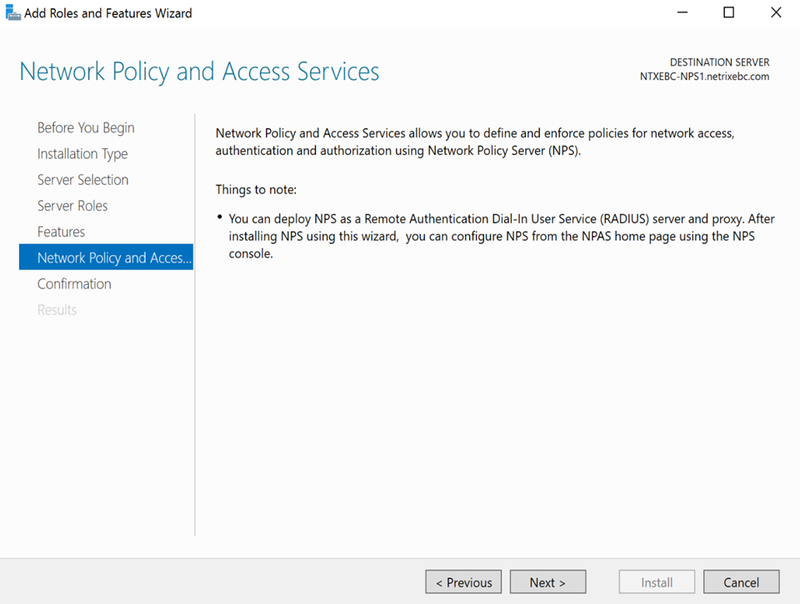 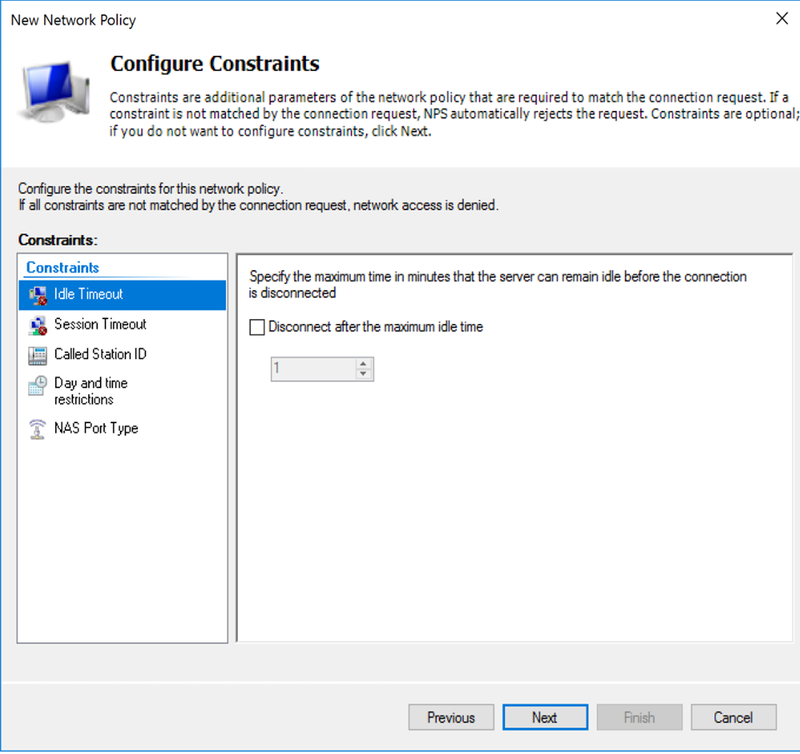 NOTE: The NPS instances for the NPS extension MUST ONLY be used for RADIUS clients enforcing MFA, as all RADIUS requests that pass through the NPS instance will require MFA. 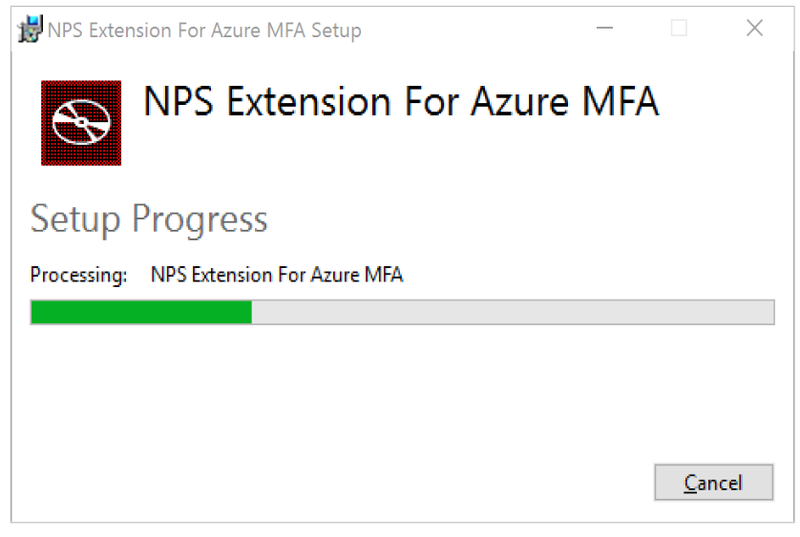 So if you plan on having some other resources use NPS that don’t enforce or need 2FA, ensure you have 2 separate instances or farms, 1 for MFA, 1 without the extension. 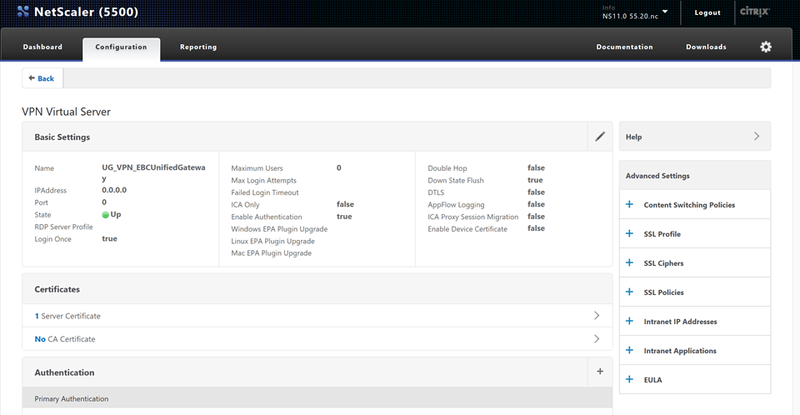 The architecture is as follows, you can have multiple NPS servers for HA as needed. 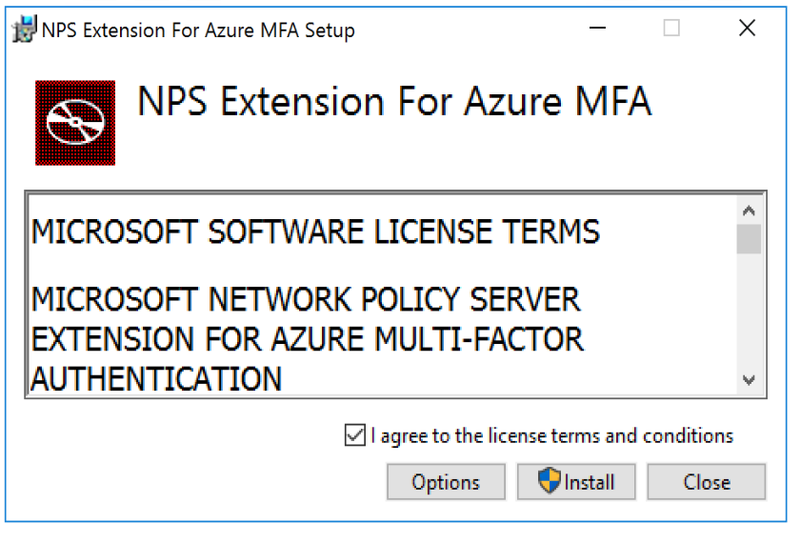 The NPS Extension for Azure MFA is available to customers with licenses for Azure Multi-Factor Authentication (included with Azure AD Premium, EMS, or an MFA subscription). 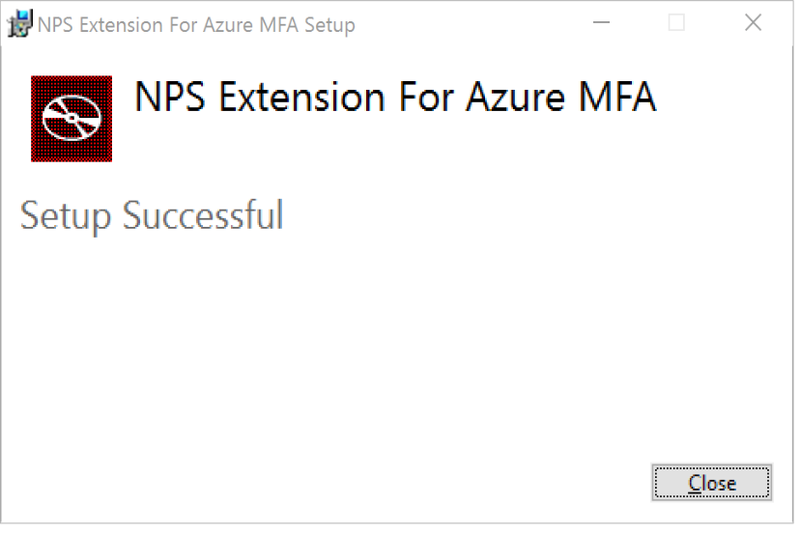 If users are going to authenticate through the NPS extension, note that their users HAVE to be synchronized with Azure AD and MUST be registered for Azure MFA. 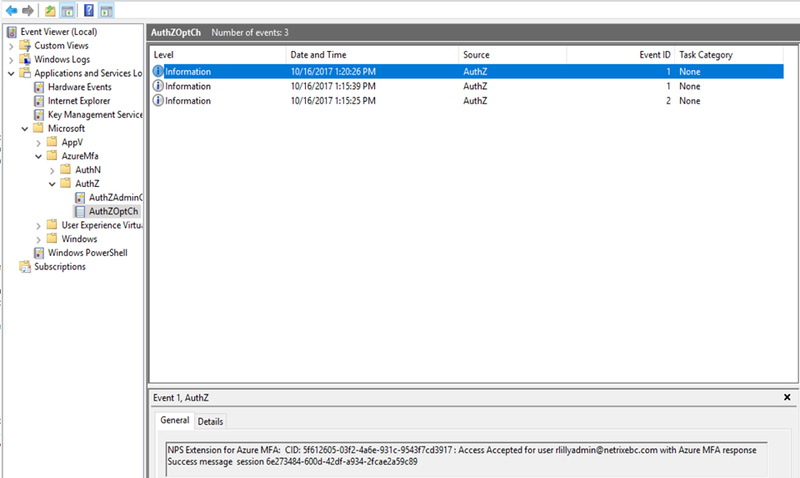 This can either be done by pre-registering the users through https://aka.ms/mfasetup or you can enforce the use of a synchronized Mobile or Office phone (from AD if populated) through PowerShell. 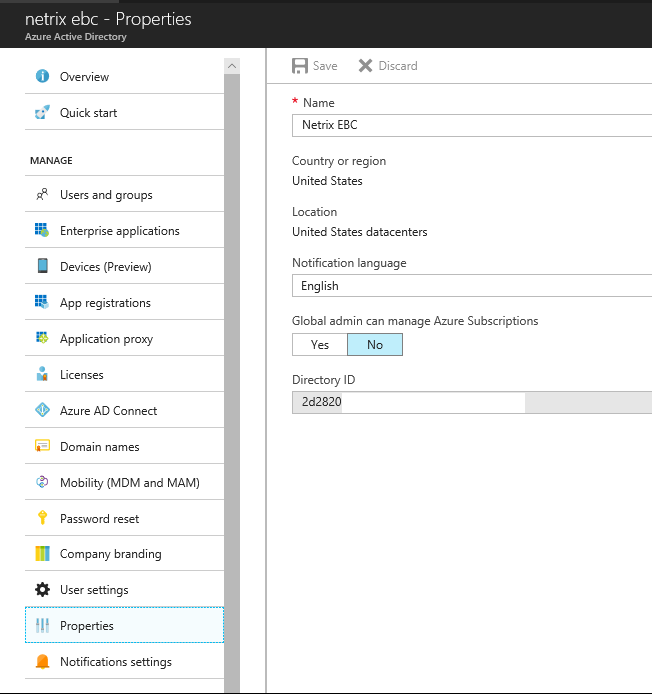 Do ensure to note the Azure AD tenant ID, as you will need that later on. 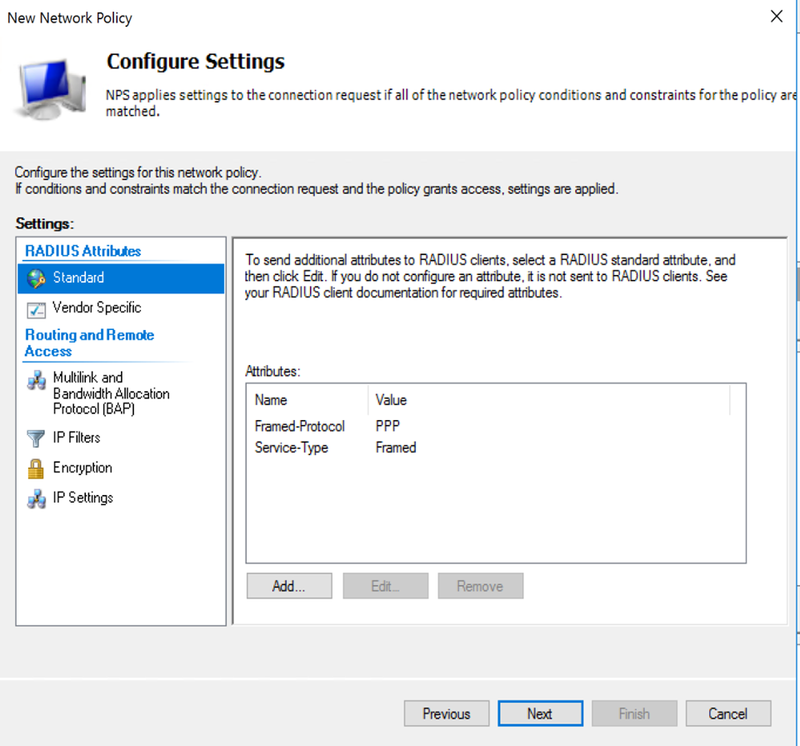 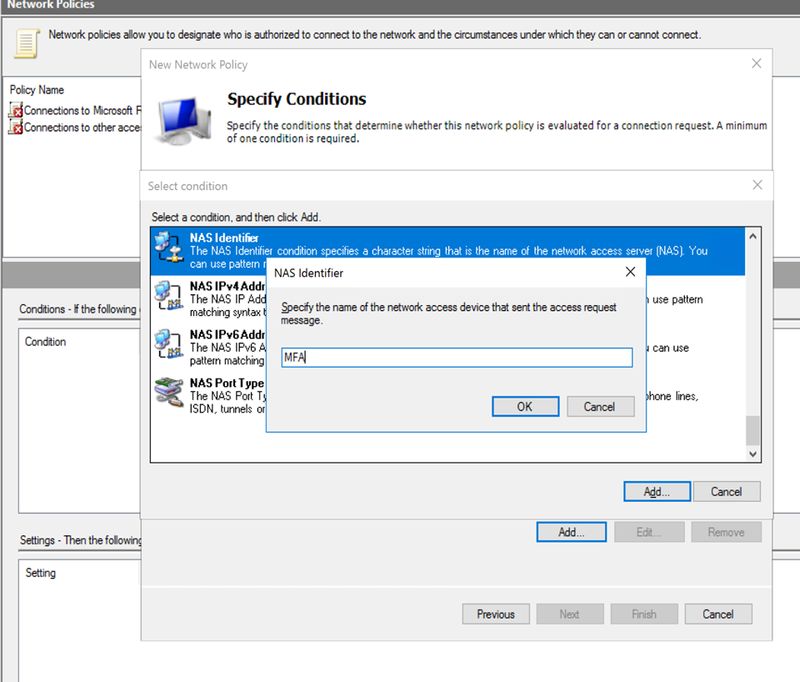 The NPS server connects to Azure Active Directory and authenticates the MFA requests. 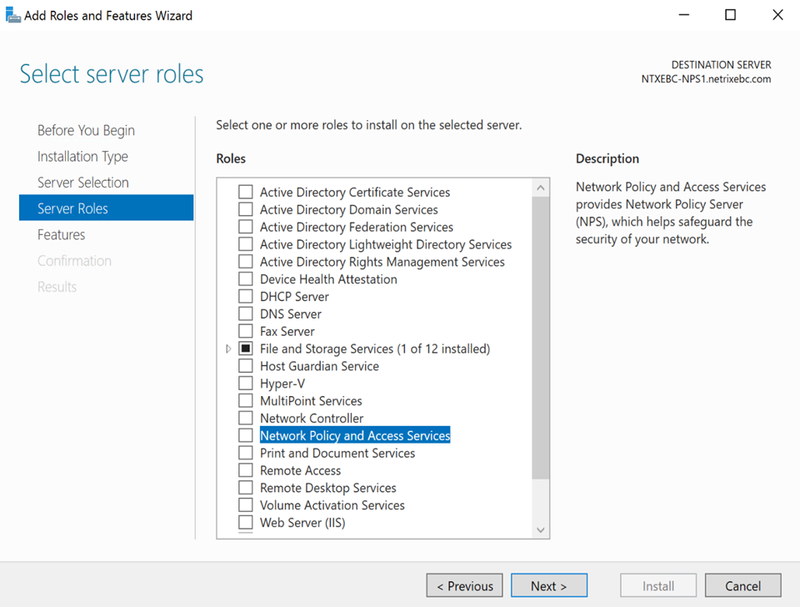 Choose one server for this role. 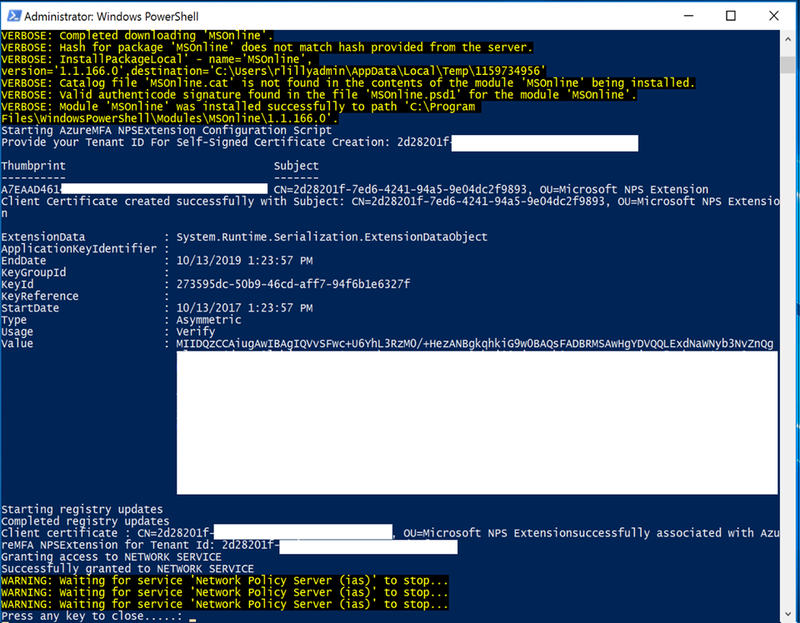 We recommend choosing a server that doesn’t handle requests from other services, because the NPS extension throws errors for any requests that aren’t RADIUS. 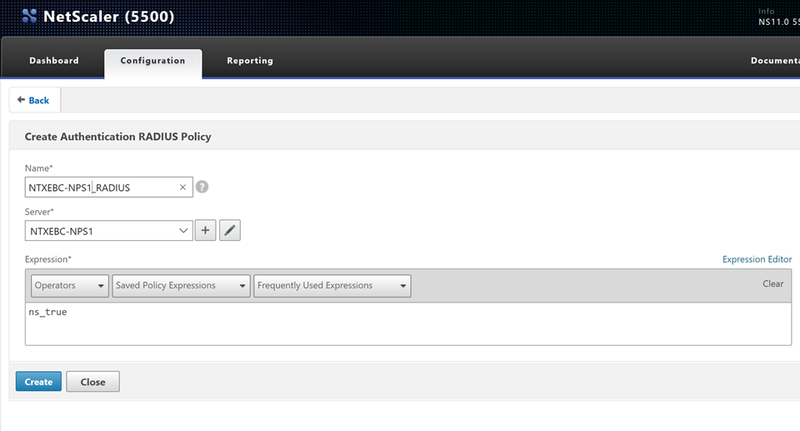 When you deploy the NPS extension, use these factors to evaluate which methods are available for your users. 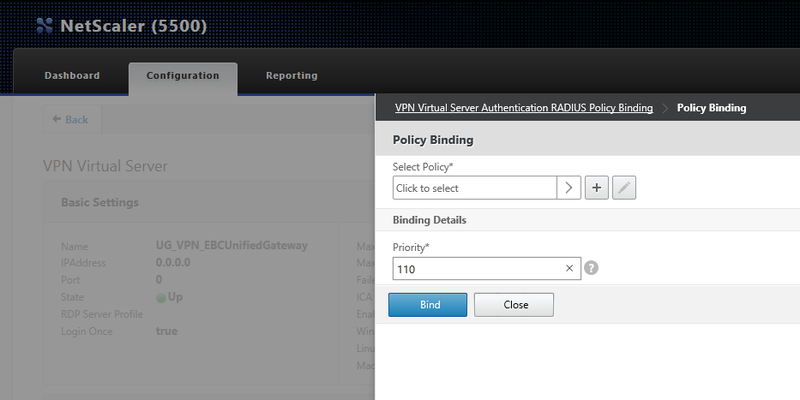 If your RADIUS client supports PAP, but the client UX doesn’t have input fields for a verification code, then phone call and mobile app notification are the two supported options. 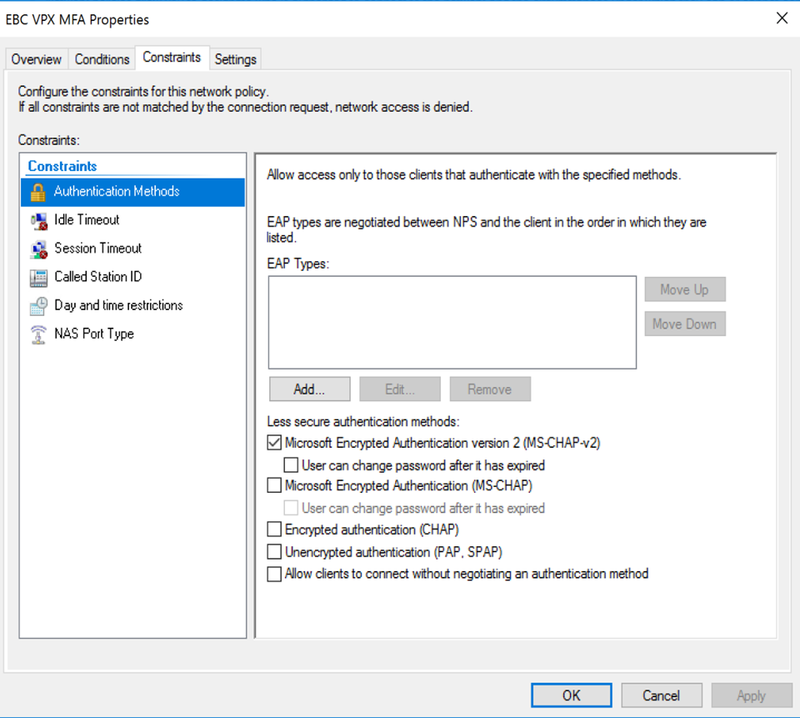 Before you deploy the full NPS extension, you need to enable MFA for the users that you want to perform two-step verification. 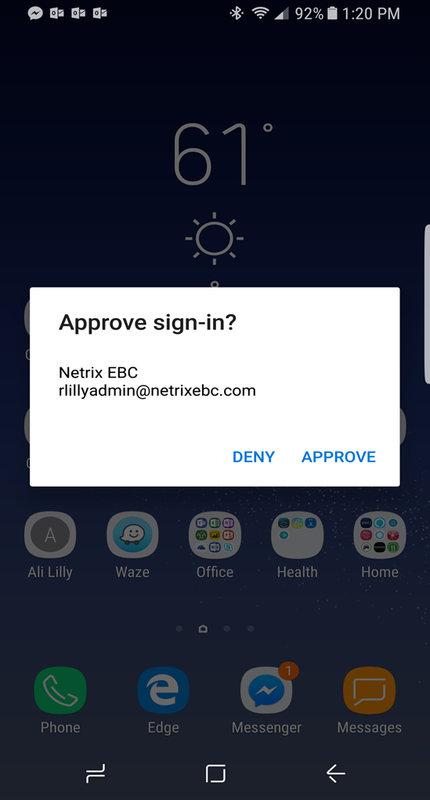 More immediately, to test the extension as you deploy it, you need at least one test account that is fully registered for Multi-Factor Authentication. 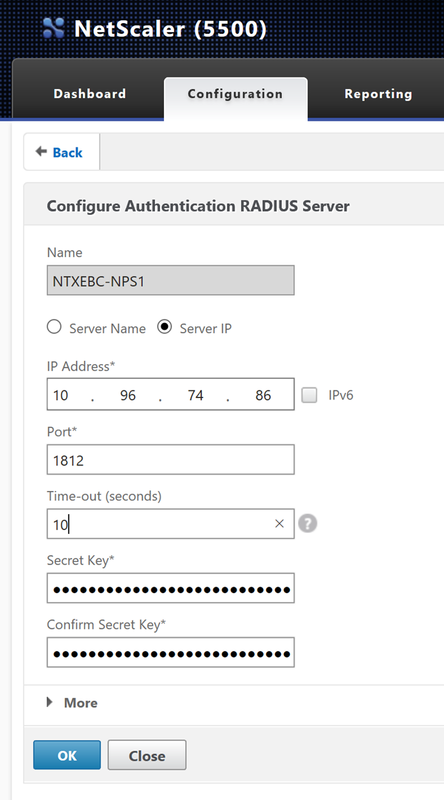 Open up the NPS console and add the new RADIUS client. 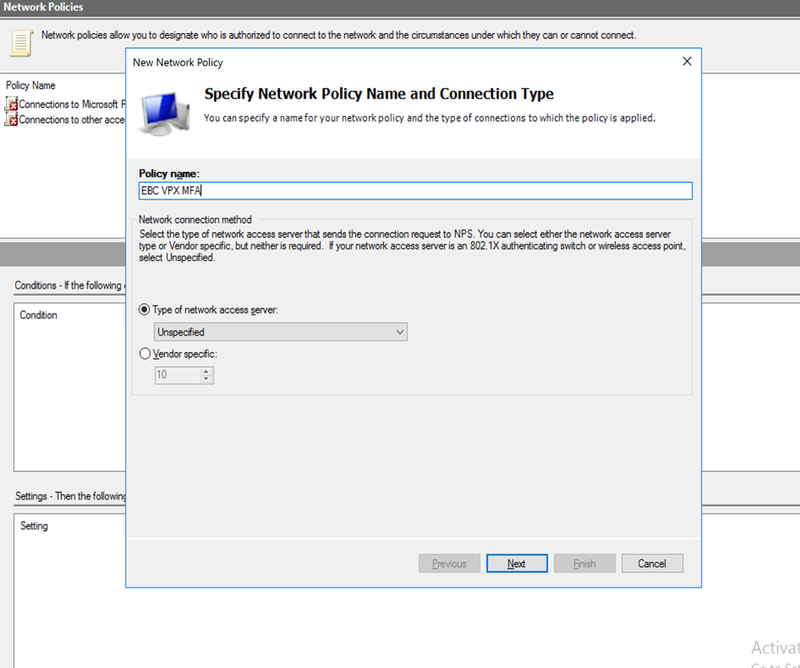 Choose the SNIP source IP from the NetScaler that will be sending the request and generate a passphrase. 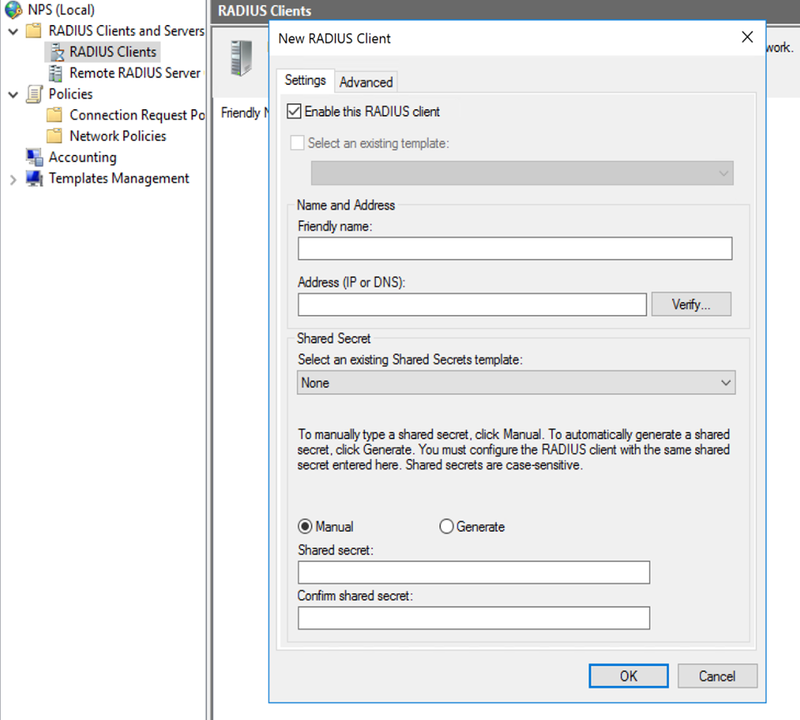 NOTE: NetScaler’s do not accept long shared secrets, so I truncated mine to 31 characters for use. 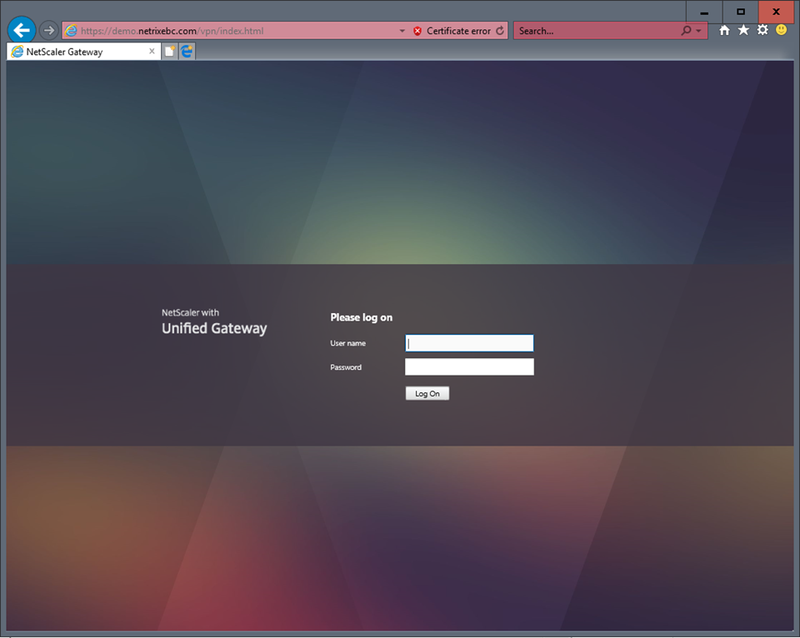 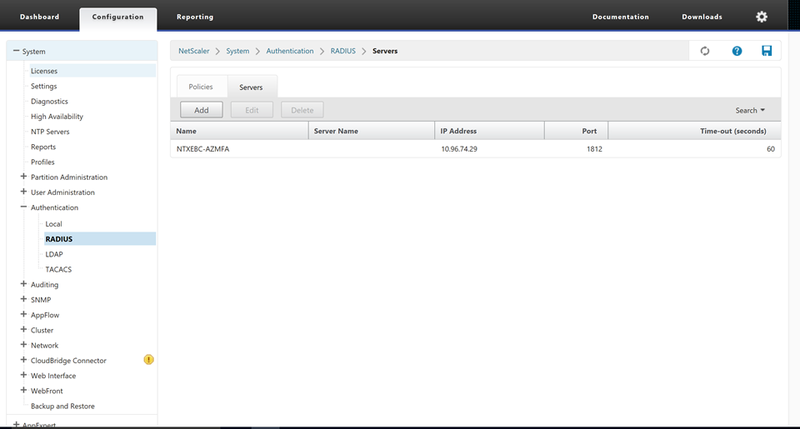 Now time to setup our NetScaler. 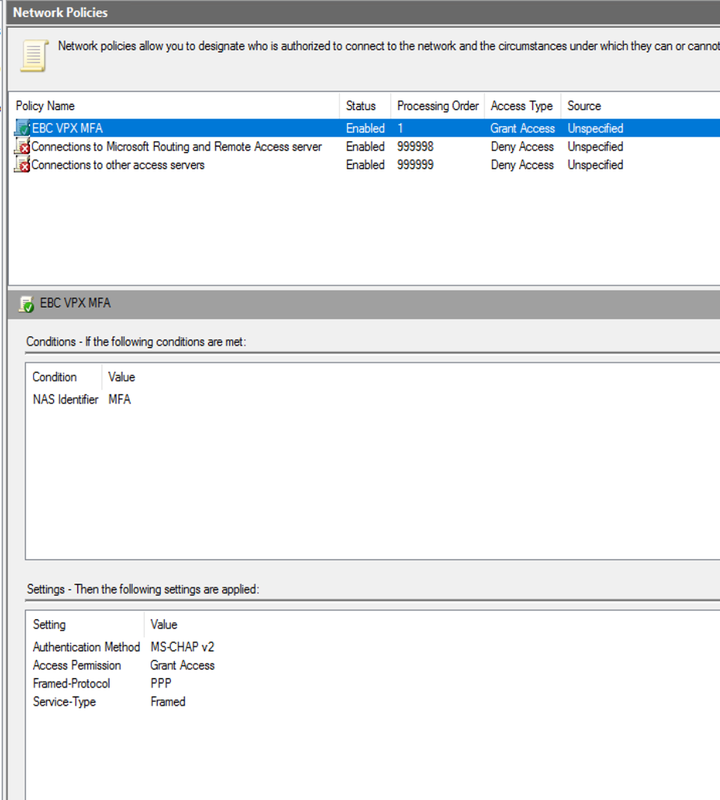 First, let’s setup a new RADIUS server, you can see our old one in there from before. 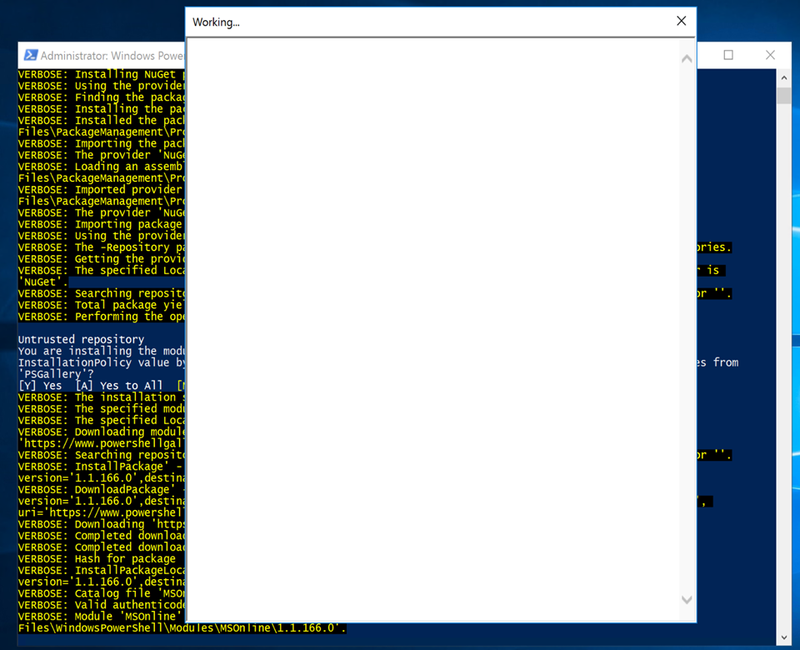 Make sure to setup the timeout to 10s from the default, otherwise it will, well, timeout. 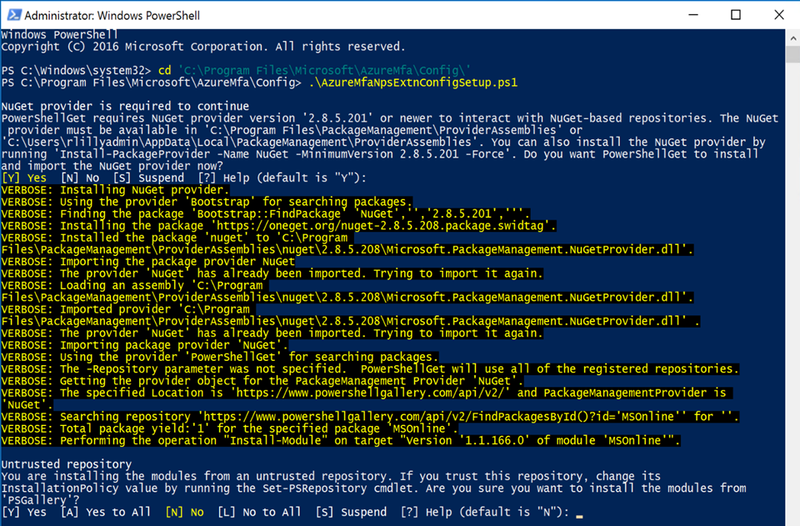 Ah, we got our Azure MFA prompt from my primary Azure AD method!